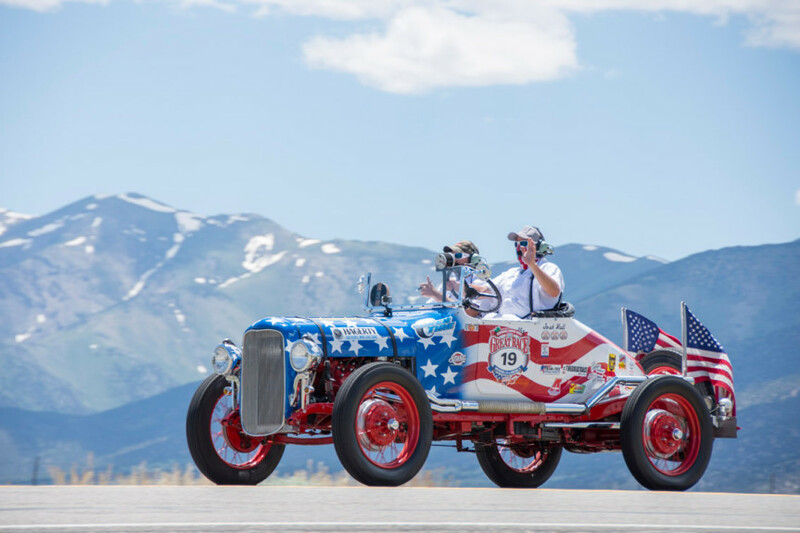 The Great Race » 1917 American LaFrance Enters 2013 Great Race! 1917 American LaFrance Enters 2013 Great Race! We’ve been getting tons of phone calls and emails about the 2013 Hemmings Motor News Great Race presented by Hagerty. We have folks call us about entering the event on a regular basis, and we recently spoke with Jerome Reinan of Denver, Colorado. His 1917 American LaFrance make look familiar to some of the Great Race veterans, as it competed in the Great Race back in 1994 when we went from Huntington Beach, California to Wilkes-Barre, Pennsylvania! 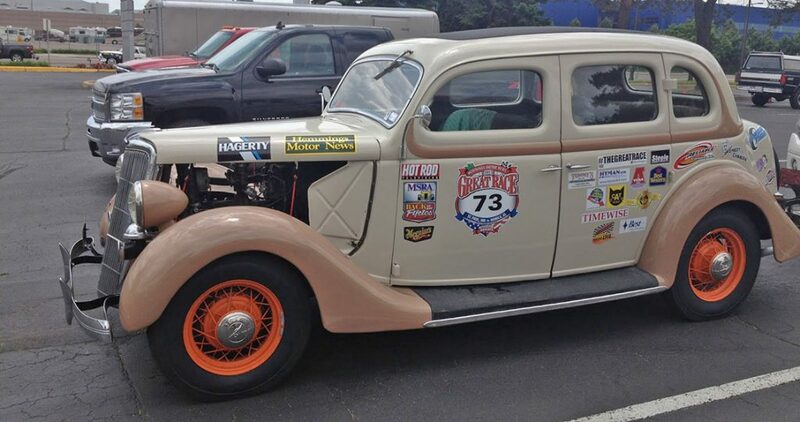 Jerome and his American LaFrance is ready for action again, and recently entered for the 2013 event! Jerome kept all of the Great Race decals on his car from the ’94 event, as a great way to remember the event. He plans to keep those decals, even when he goes through tech inspection for the 2013 Great Race, which goes from St. Paul, Minnesota to Mobile, Alabama! Generally, if someone wants to keep their old decals on the car, we can apply the decal to a special magnet so the decals are preserved. 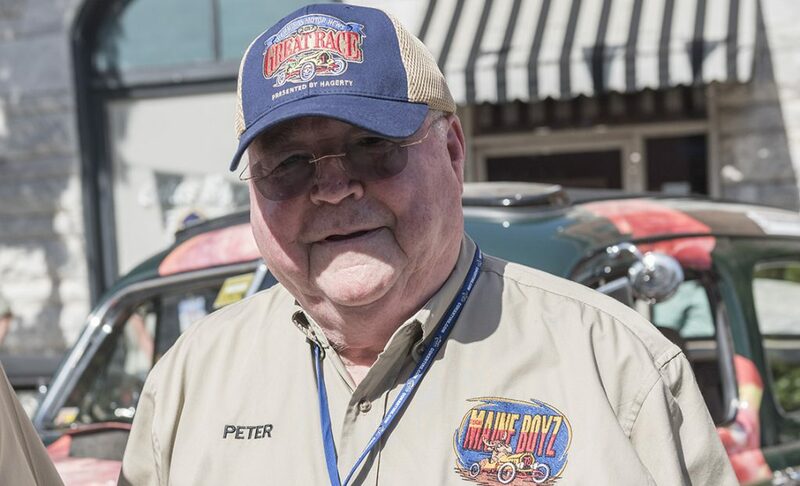 We’re glad to have Jerome on board with the 2013 Great Race, so be on the lookout for his bright yellow American LaFrance when we come to your town! this was my grandfathers car, i went to see him in the race and have alot of stories from this car in the race. so many memories, hope you have as much fun in it as we did! 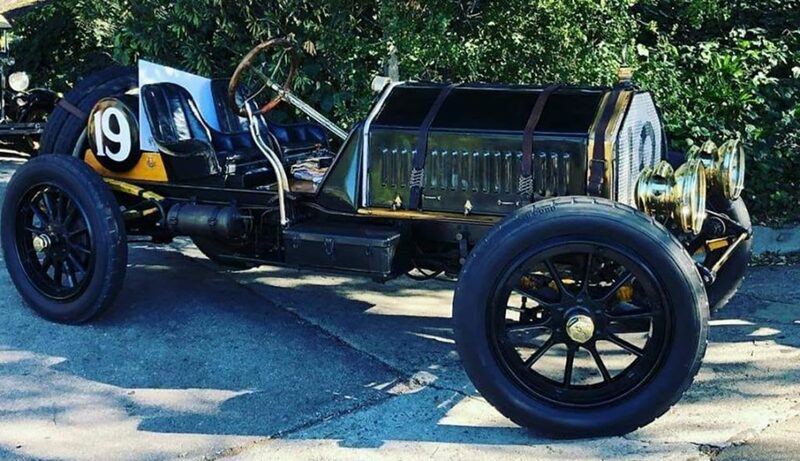 I reside in Melbourne Australia and own a 1917 American LaFrance. I would like to change the gearing in the differential, exactly as you have done in your own. Would you have any specifications that I could take to an engineering workshop and have the new components manufactured? I am prepared to pay you for a copy of the specifications. Any help you can provide would be greatly appreciated.